It is said that natives of Cologne who are living elsewhere always feel homesick, and visitors to this beautiful city will soon understand why. Germany’s oldest metropolis, which, of course, gave its name to the Eau de Cologne, offers a mix of magnificent and romantic churches, cutting-edge modern architecture, busy shopping streets and world-famous museums. 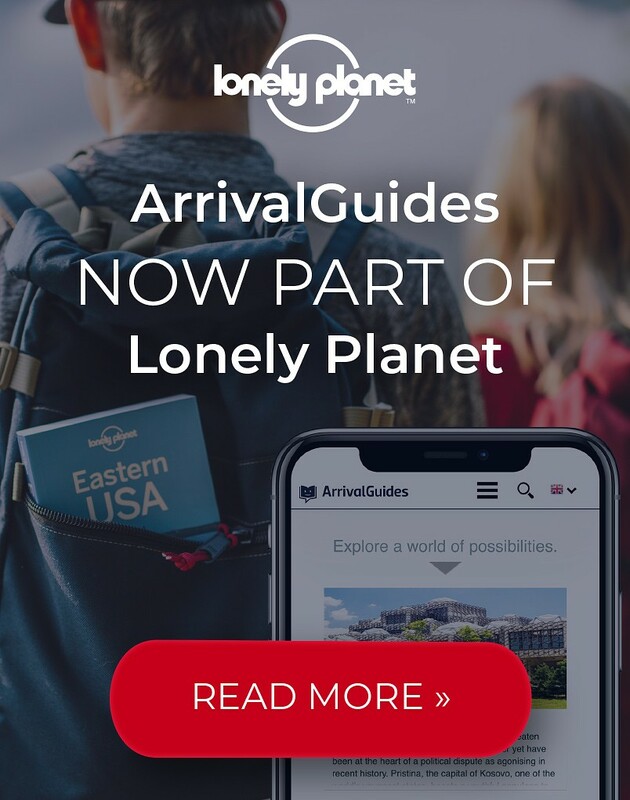 There is much to do and see in Cologne, and with all the frequent flights and transportation options, getting here has never been easier. Opening hours: Department stores and large shops open from around 10.00 to 20.00 from Monday to Friday and on Saturdays from 10.00 to 18.00 (larger shops until 20.00). Supermarkets and food shops often open at 08.00. Most of the shops are closed on Sundays. Cologne's Old Town is the historical centre of the city. 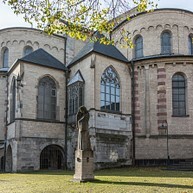 Highlights of this area include the Cathedral, the Roman Praetorium, the twelve Romanesque churches of Cologne and the City Hall, which is the oldest building of this kind in all Germany. Sightseeing can be even more exciting if you go on a boat tour, a cable car or a building with a panoramic view of the city. Nature lovers can find refuge in one of the city's parks, at the Botanical Garden or at the zoo. Cologne Zoo houses more than 750 different species from all over the world, making it a popular excursion destination for families and animal lovers. Some of the animals you can see here are hippos, elephants, penguins, flamingos, baboons and sea lions. If you arrive at the right time, you can also watch the animals being fed. 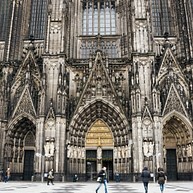 Work on the Cologne Cathedral began in 1248 and it was the largest building project undertaken in the Middle Ages. A large, spacious church was needed to accommodate the influx of pilgrims who came to visit one of the most important shrines in the Catholic Church holding the relics of the three Wise Men. The bones are kept in a casket that is the most precious treasure in the cathedral and a masterpiece of medieval goldsmith’s art. This botanical garden housing about 10,000 types of plants dates back to the 19th century and is beautifully located along the Rhine River. The main greenhouse alone, with its great assortment of plants, is worth a visit. It'll feel like you're in South America's rain forest surrounded by its exotic vegetation. The Praetorium was once the seat of the Imperial Governor of Cologne. Now this is an underground archaeological area where you can walk around and through tunnels with Roman ruins and learn more about the city's history. 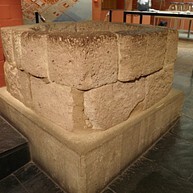 It is partly located under the current City Hall. The Germans have always been big music lovers, and Cologne is no exception. Cologne Opera is the main opera house in the city, featuring modern architecture, a resident opera company and a rich cultural program. It can accommodate up to 1,300 spectators and 100 orchestra musicians. Lanxess Arena is one of Europe's biggest entertainment venues and can accomodate up to 20,000 people. All sorts of events take place here, from concerts to ice-hockey games and big shows. Just check the program on their website to discover what's going on while you're in Cologne. 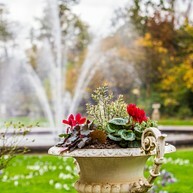 The Volksgarten is popular among visitors and locals alike. This public park is located by a beautiful lake and is a nice place for a peaceful stroll. There are also a playground for children and a beer garden for adults. A walk over Hohenzollern Bridge, one of the most famous sights of Cologne, is simply a must-do. This railway and pedestrian bridge was originally built between 1907 and 1911, but had to be reconstructed after a bombing occurred in 1945. 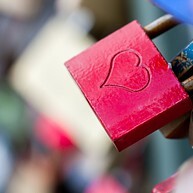 From 2008 onward, couples from all over the world have being adorning it with colourful padlocks symbolising their love. In Cologne you can visit the oldest town hall of all Germany, with parts of it dating back to the 11th century. It features various architectural styles and sculptures from different periods adorn the surrounding area. The Hansasaal, named after the Hanseatic League, is at the heart of it. Other highlights include the beautiful Renessaince loggia and the Gothic tower, 61 metres high and with bells that toll four times a day. The Old Town of Cologne encompasses twelve Romanesque churches that constitute one of the cultural highlights of the city. All of them where originally built in the 12th and 13th century and feature beautiful medieval architecture and art, but each one has different characteristics. Some of the most famous ones are St. Maria im Kapitol, Great St. Martin and St. Gereon. One of the most beautiful, picture-postcard views of Cologne Cathedral can be enjoyed from Köln Triangle. The visitor’s platform on the rooftop of this building is at a height of more than 100 meters, providing a breathtaking 360 degrees view of the city. 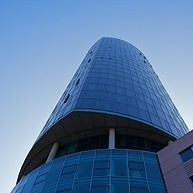 By using the express elevator, you can glide to the top at four meters per second. A boat tour on the Rhine is one of the most exciting ways to visit the city. 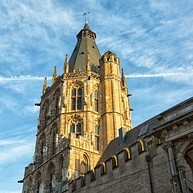 One of the companies that offer this kind of experience is KD, with up to 6 tours a day departing a few steps away from the Cologne Cathedral and the Hohenzollern Bridge. 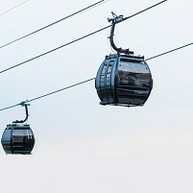 Take a cable car over the Rhein and experience Cologne from above. 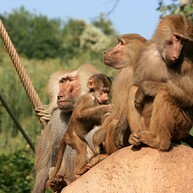 Rides start from Cologne Zoo or from the Rhein Park, so you can visit both in one afternoon.